Each and everyday I am so thankful for being able to be home with Sutton. I am blessed to have a job that allows me to work from home. Motherhood has been quite the journey thus far. Sutton is almost 6 months and each day I learn something new with her. We are both growing together, learning each other, and new things; it’s quite amazing. One of the most rewarding and most difficult things I have done since becoming a mother is breastfeeding. As the saying goes, “good things don’t come easy” and that is true! I think all moms can agree, it can be a rocky start. I relied on family, friends and an amazing book to help when I started to question things or it got tough. Having a good nursing pillow is huge for me. 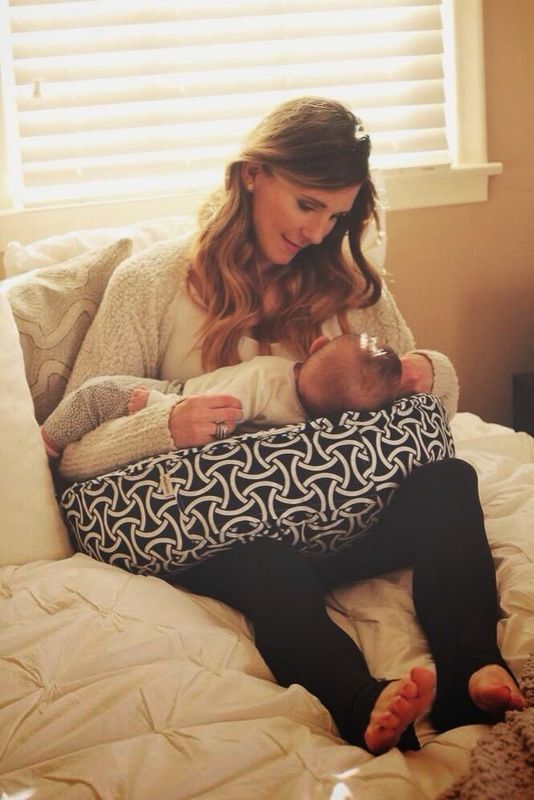 I have tried a couple different versions of pillows and just recently tried the Bébé au Lait nursing pillow and it’s night and day difference. 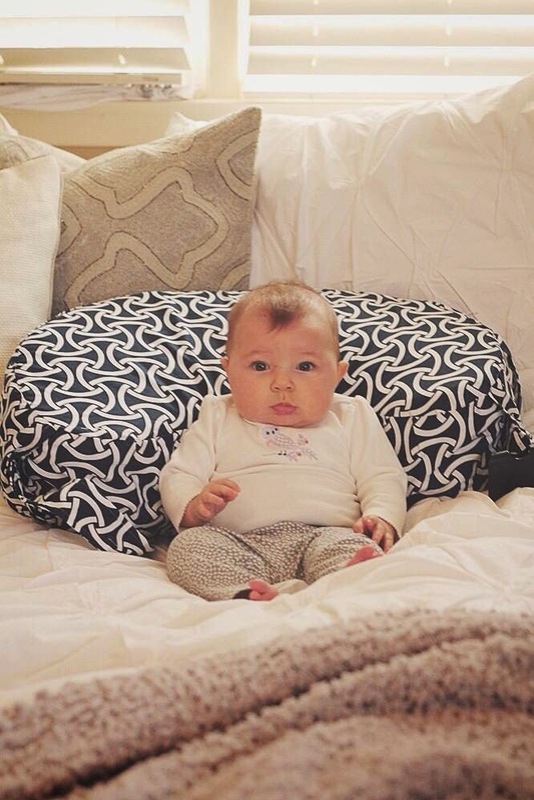 The Bébé au Lait pillow gives the option of a flat, firmer surface or flip it for a softer surface. I prefer more of a firm surface, I have found that works best for Sutton and myself. The height of the pillow promotes a better latch and I noticed that right from the start. The thing I love about it best is that I am able to support Sutton more at a 45 degree angle which help with her reflux that causes her tummy to hurt when she feeds. It also has a two sided pocket, where I keep burp clothes and breast pads, so convenient! I also throw my phone in there. I cannot tell you have many times I loose my phone during feedings. Lastly, it has a strap that you can place around your waist to keep the pillow in place. 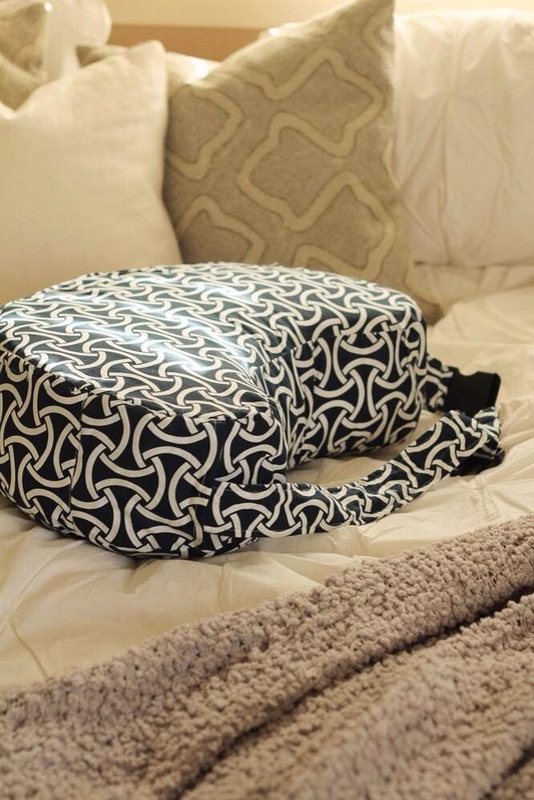 This pillow was designed by a nursing mom and you can definitely tell that. I am so happy that Bébé au Lait gave me the opportunity to try out this pillow. I absolutely love it! Any questions, feel free to email or connect on instagram! PS-the breast feeding book I highly recommend and still use is LLL Womanly Art of Breastfeeding. Any questions, feel free to email or connect on instagram! Thanks to Bébé au Lait for sponsoring my post. All my opinions are my own!